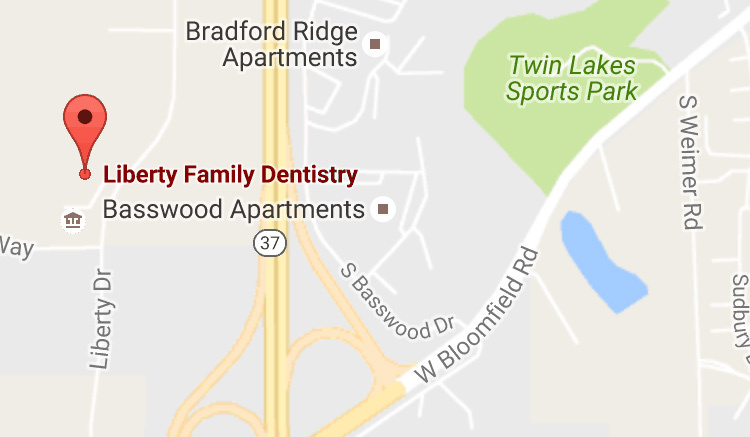 Over the last year, you’ve probably seen many Liberty-crafted, beautifully straight smiles around Bloomington. Whether it’s traditional orthodontic treatment or Invisalign®, we specialize in comfortable, comprehensive orthodontic care for patients of all ages. Does anxiety begin to whisper in your ear when you realize you have a dentist appointment scheduled for the coming week? Does your heart pick up the pace a little bit? If you have a friend or a family member who experiences some dental anxiety or fear, please consider sharing this article with him or her. Preventing tooth discoloration begins with an understanding how your lifestyle directly impacts your smile. What you eat, drink, and your regular hygiene habits contribute to the shade of your teeth. One of the best ways to completely transform your smile is through the magic of veneers. While you didn’t get to choose the teeth you were born with, veneers give you the opportunity to create a perfectly aligned and stunningly beautiful smile. The New Year is almost here! What does that mean for you? You may be leaving money on the table. Any unused dental benefits for 2015 will disappear. Here are two important steps to help you make sure you’re getting the most from your dental insurance plan.